Congratulations are in order for a very lucky lottery winner. 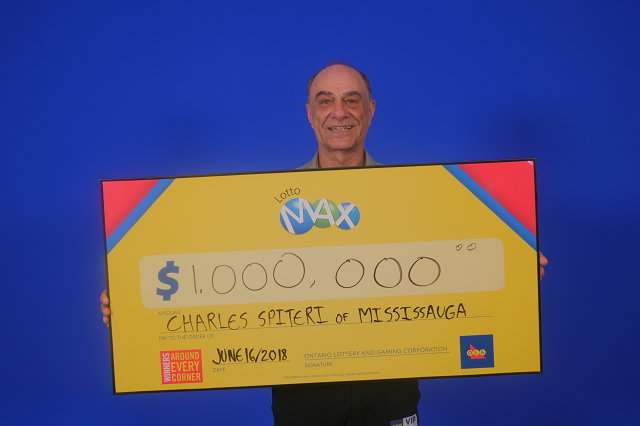 According to a recent statement from OLG, Mississsauga resident Charles Spiteri has taken home a $1 million Maxmillions prize in the June 8, 2018 Lotto Max draw. The winning ticket was purchased at an Esso located on Dixie Road in Mississauga. Congrats again to Mr. Spiteri for the huge win!